May 28th was World Hunger Day, bringing awareness to the 805 million people worldwide that go to bed hungry every night. 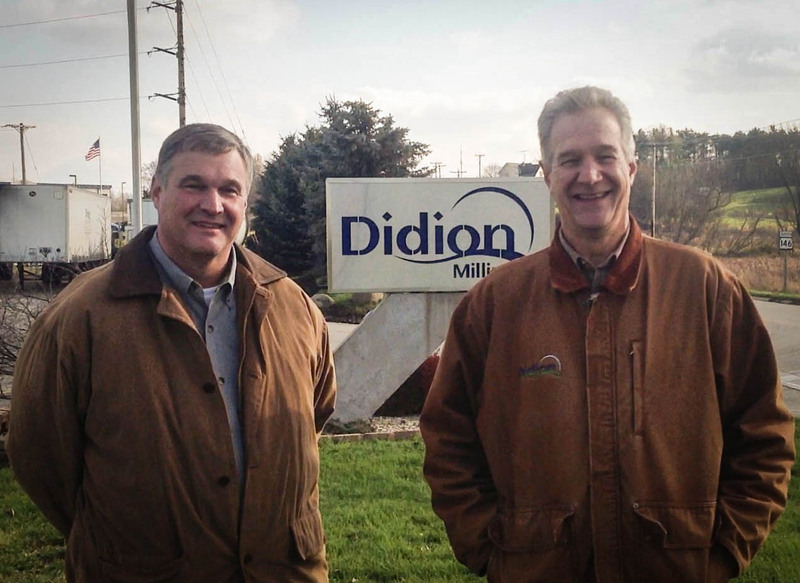 For the last 20 years Didion Milling has been producing famine relief products for the United States Agency for International Development (USAID). 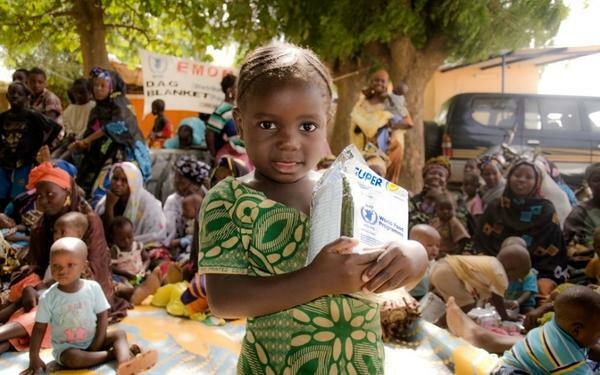 This organization provides emergency food assistance and has several programs in place that help monitor food insecurity throughout the world, save lives in times of crisis, and tackle malnutrition. In fact, about 3 billion people from over 150 countries around the world have benefited from USAID’s food assistance programs! Did you know that corn is an important ingredient in famine relief products? 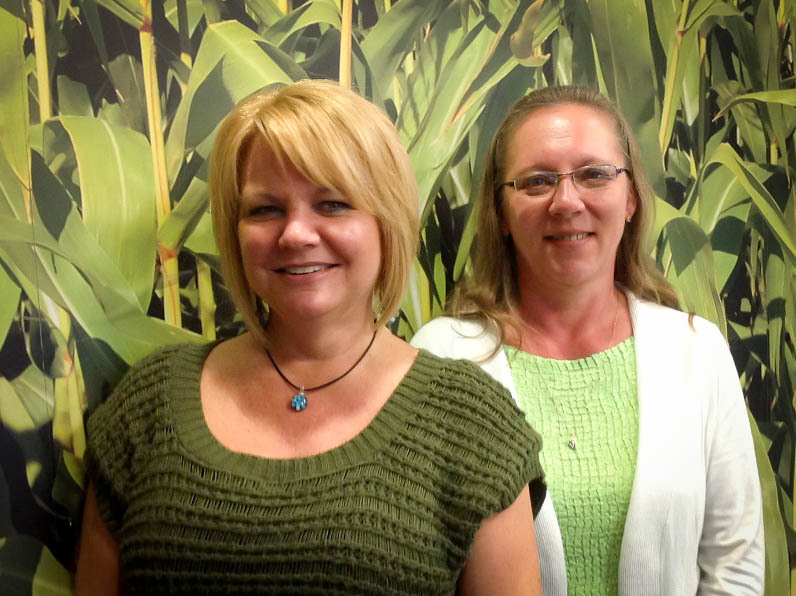 We produce a total of 6 different products, but our most common ones are Corn Soy Blend Plus and Super Cereal Plus. So far, these products are being delivered to parts of Southeast and West Africa, Central America, and parts of Asia. Corn Soy Blend Plus: CSB Plus is a highly nutritious, wholesome blended food. This a precooked blend of cornmeal and soy flour enriched with a full complement of vitamins and minerals, making it an excellent choice for famine relief! This product is a finer granulation than our Corn Soy Blend and is usually used for children under two, lactating mothers or at risk AIDS patients. Super Cereal Plus: Super Cereal Plus is another nutrient-dense corn and soy product. However this products differs form Corn Soy Blend Plus in its ingredients – this meal is made up of heat-treated corn or cornmeal, de-hulled soybeans, nonfat dry milk, refined soybean oil, and plenty of vitamins and minerals. Super Cereal Plus is also designed to be ready-to-use and intended for young children under 2 years old as a complement to breastfeeding. Chronic hunger affects more people every year than malaria, tuberculosis, and AIDS combined. Food assistance is one of the ways that we can start to lessen this problem. Day 2 of IFT is in full swing here at the Morial Convention Center in New Orleans! 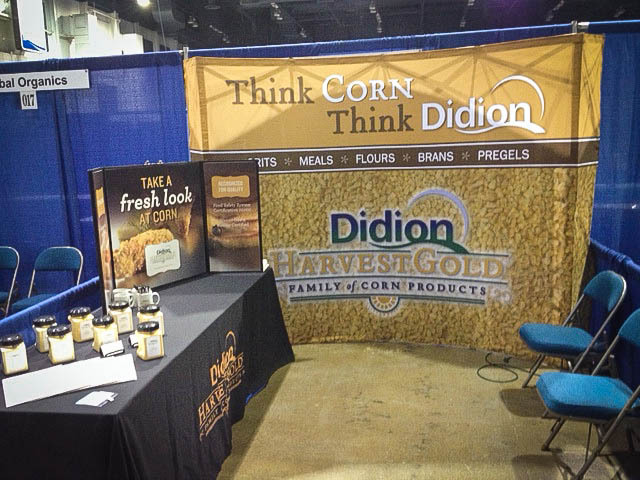 Riley, Chris, Katie and I are at booth 4248, talking whole grain and how Didion takes a fresh look a corn. 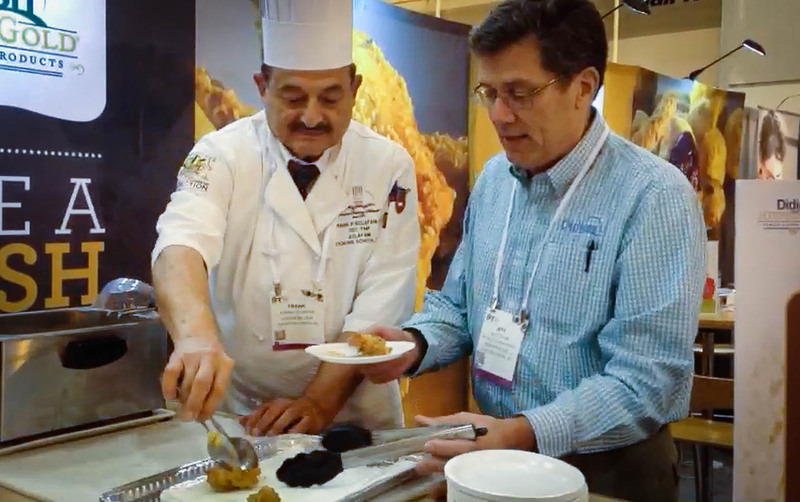 Renowned chef Frank Sclafani is also at our booth, serving up Didion’s twist on a New Orleans classic – the Big Easy Breakfast Beignet. Crispy, savory and healthy, it features andouille sausage, onion, celery and red bell pepper and is served with a creamy mustard sauce or remoulade. This savory whole grain breakfast beignet features Didion’s HarvestGold® whole grain corn ﬂour and corn bran, while the mustard sauce contains our corn bran and pregelatinized corn ﬂour and the remoulade includes corn bran. 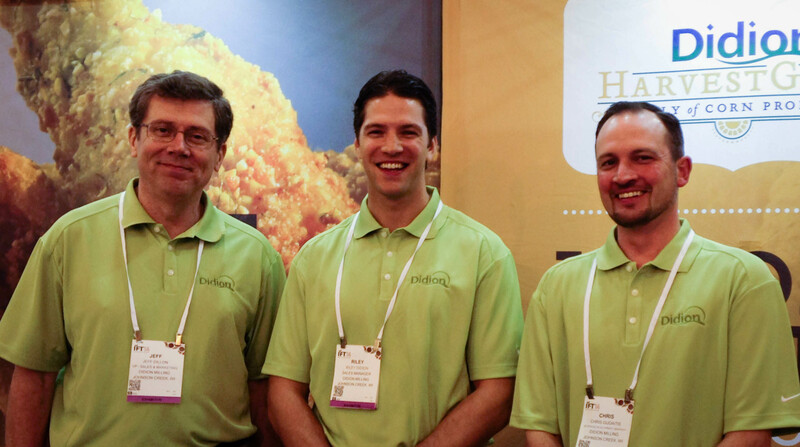 If you’re at IFT this week be sure to stop by and see us for an authentic New Orleans breakfast. Keep an eye on our Twitter and Facebook feeds for live updates from the show. Memorial Day weekend is the big kick off to grill-out season; a time filled with barbecues, family get-togethers, burgers and Didion’s favorite thing – corn! 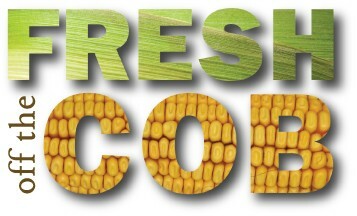 There are many ways that you and your family can enjoy corn this summer: corn on the cob, cornbread, hushpuppies and . . . charcoal? Yes it’s true! When you get the charcoal out to grill you’re using corn, usually in the form of pregelatinized (precooked) yellow corn flour. 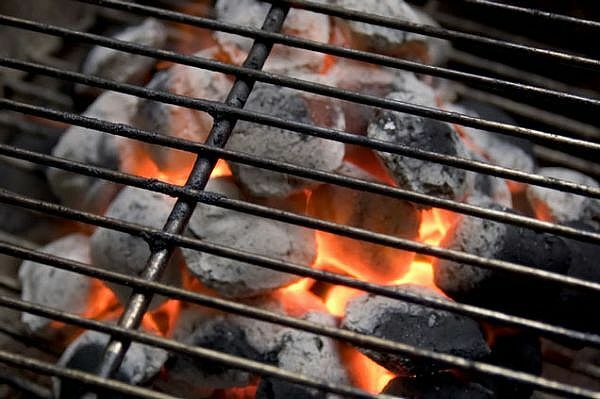 Corn is commonly used in charcoal as a binding agent to help the briquettes retain their shape so they’re easy to use. Next time you’re grilling a burger or steak ’til it’s just right, remember the crucial part that corn played in your grilled perfection.